Disney has confirmed that the official Tomorrowland home video announcement will be made this Friday! BRAD BIRD PRODUCTION DIARIES: "THE FIRST DAY"
BRAD BIRD PRODUCTION DIARIES: "NASA"
EASTER EGG: "CAUGHT ON TAPE"
EASTER EGG: "WORLD'S FAIR FEATURETTE"
EASTER EGG: "58 DAYS LATER"
EASTER EGG: "RICHARD SHERMAN SPEAKS!" 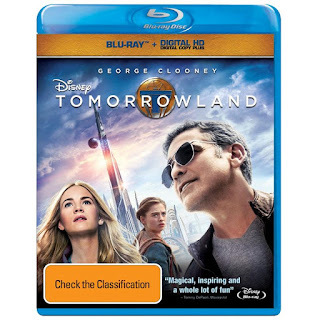 Thanks to several international listings, we have our first look at the special features on the upcoming Tomorrowland Blu-Ray release. Short film: "The origins of the ultimate"
advertising for "The bazaar of the past"
- "Jokes of the Eiffel Tower"
- "The living room of the Apocalypse?" Additionally, rumors have been circulating since the release of the Blast From The Past store commercial that another piece of in-universe viral content was filmed with Hugh Laurie as his character David Nix in a 1960's, Mr.-Wizard-style science show. We hope to see both of these rumored features on the Blu-ray, however nothing official has been confirmed. 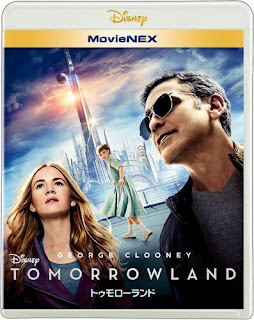 According to staff at Disney Movies Anywhere, Tomorrowland will be released on Blu-ray and Digital on October 13th in the US. Previously reported international release dates include September 30th in Australia and New Zealand, October 5th in the UK, October 6th in France, and October 7th in Japan. 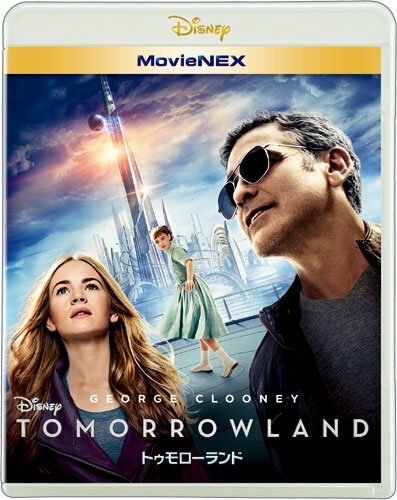 Any word on which, if any, will be on the regular DVD release? Not happy ... I'm not finding any info on the net as to why the Carousel of Progress scene is not in the Deleted Scenes section of any video release. Whether it's DVD or Blu Ray. Sure would be nice if I can find some answers on this.